Do you have a middle name dilemma? Some parents give little thought to choosing a baby boy middle name, believing that the name will never be used except for identification purposes. 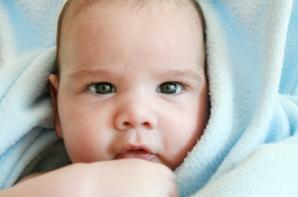 Other families, however, take the task of choosing a baby boy middle name as serious business. Even if you plan never to use your child's middle name, you should still choose wisely. Just because you don't plan on using the middle name doesn't mean your son will feel the same way as an adult. Choose a name that will work as a first or a middle name. While the possibility may seem slim, you still want to leave the option open for your child if he totally despises his first name. Consider naming your child after his father. If his father is the first member of his family to have a particular first and middle name, you might consider creating a "junior" by repeating those names for your son. If your father is already a junior, you might like the idea of continuing the tradition by repeating the name for a third time and adding "III" after his name. Family traditions can be carried on through middle names. If you don't want to use the father's exact name, but you still like the idea of incorporating a family name into the mix, then consider using a mother's maiden name, grandfather's name, or some other family member's name as a middle name for your son. Watch the acronyms. Don't consider the name you select as perfect until you try out the initials to see how they sound. Monogramming can be a problem if your son's initials spell out embarrassing or derogatory words. How does the name look and sound? Unlike girls who may eventually lose their last names once they've married, boys will usually carry their entire name for their whole lives. Try out the whole name and see how the first, middle, and last sound together. Consider the spelling factor as well. As your child begins to learn how to pronounce and spell his name, he may need help if it is something like "Alexander Nickolas Petrovsky". Likewise, a name like "James Bob Smith" might not be as pleasing to the ear as "James Christopher Smith". Say and spell the whole name several times before you settle on it permanently. If having a religious name is important to you, consider the meaning of the baby boy middle name you choose. Not sure what a name might mean? There are numerous sites that list names and their meanings. Do you want the middle name to be the primary name of your child? Many parents want to call their children by the middle name they've chosen. This is perfectly acceptable, but don't overlook the confusion it might cause. Your child's teachers will have to continuously be corrected at the beginning of each school year. Legal documents can be tricky as well for those who go by their middle names. Don't forget to check out all of LoveToKnow Baby's articles on choosing a baby name, such as Baby Boy Names, Baby Girl Names, and Baby Name Meanings.